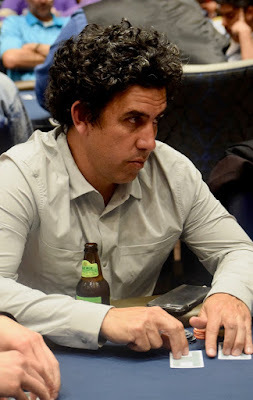 Add the likes of Brett Murray and Josh Prager (above) to the Day 1A WPTDeepStacks $500,000 Guarantee $1,100 Main Event field, pushing the number to 95 through 8 levels. Registration and a single re-entry per player per flight is available until the start of Level 10 at 7:30pm, after the hour-long dinner break. Where's Allen Kessler, you ask? 5-10pm today is 5x bonus points on slots ..we'll see Allen tomorrow for Day 1B.